Finding the time to sit down and read aloud with our children is difficult. Evenings are often packed. We get home late from work or activities with the kids. We need to make dinner, help with homework and get our children to sleep. We deserve a little time to ourselves to do email, watch a favorite TV program or chat with our partner. However, by not sticking read aloud in to the family routine, we are missing out on an opportunity to facilitate our child’s life long literacy. 1. By setting time aside to read and talk about it with you child, you make your son or daughter feel very important and loved. 2. Reading to your child gives them the opportunity to see different lives, worlds, and choices. This provides chances to talk to your children about respect and tolerance. 3. Enjoying books with parents leads kids to be motivated to read books by themselves. 4. Stories are full of rich vocabulary. Hearing these words helps develop the child’s own vocabulary bank. 5. Written language is different than spoken language. It is helpful for kids to listen to both when developing their own language skills. 6. Reading stories aloud sparks questions and conversations about the plot, characters, or ending. These conversations lead to a deeper understanding of the text. This is what successful readers do themselves when reading silently. Read Aloud is an excellent opportunity to model these behaviors. 7. Listening to books and stories helps develop imagination. 8. Standardized tests almost always assess reading (directly or indirectly). 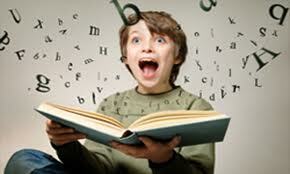 Just by reading aloud, you are giving your child tools to perform better on those exams. 9. The ability to sustain listening for an extended period of time is practiced. It is essential to find a time in your routine to include read aloud for children of all ages. Many people stick it in just before bed time. Others steal time after dinner. Find whatever works for you and your child. It is a fun time to share together which just also happens to provide tons of benefits.